There are some designers that want to think outside the box and feel the need to change things up a bit in Hotel design. But sometimes, the box is there for a reason. One such popular idea is to do away with patterned carpet and instead use the more modern approach of a solid color carpet. Why is this a bad idea? Oh, let me count the ways…. Flooring is one of the largest surface areas in any room, and when you use a solid color, it naturally draws your attention to it. 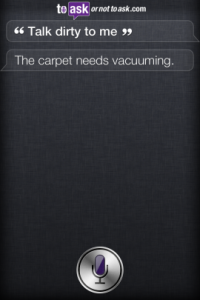 You want to use solid carpet in your home? Not a problem. In a Hotel environment, however, this can turn into a hot mess. First, a solid color will show every piece of paper, fuzz, dust bunny, or dirt spec that falls on it. Second, most cut pile carpets have what is called a “nap”, or a textured surface that looks different depending on how it is combed. If you’ve ever vacuumed your carpet at home, you have noticed how the color changes depending on which direction you move the vacuum. In a hotel this is accentuated by the vacuums, the housekeeping carts, and even the guest suitcases. Patterns in the carpet can disguise this, but with a solid carpet it is front line and center, giving a perception of messiness. Lastly, solid colors show dirt, and there is no way to disguise it. Between the grease from the cart or suitcase wheels and the gunk on the bottom of shoes, if you put solid carpeting in any public area you may as well refer to it as a walk-off mat, because that’s what it will look like after a couple of weeks, especially the light-to-medium colors. Patterned or print carpets tend to hide more “sins” as well as add a more aesthetic element to the floor surface, allowing the property to have more time between carpet replacements. 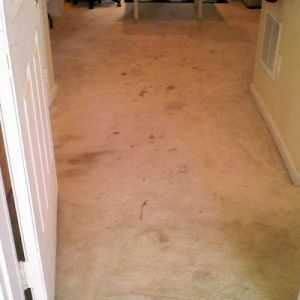 Make sure that the hotel guest aren’t treated to the previous guests’ left-overs with stains and marks on the carpet. So word to the wise, if you want to be “moderne”, express yourself with the furniture, not the carpet. Boxes can be good. Learn to work with the box.